The entry-level reusable version of the world's first USB and RFID temperature recorder for optimal cold chain monitoring! You will only need to plug in your wireless Log-ic X2-3026-USB to a USB port on any Windows PC to automatically generate a PDF report which will clearly describe what happened to your cold chain during transit. 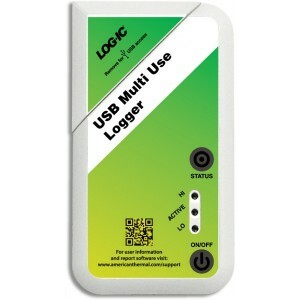 Combined with the power of wireless RFID 13.56 Mhz connectivity, our reusable Log-ic X2 recorder brings you all the benefits of wireless data scanning! The reusable Log-ic USB temperature recorder is ideal for short-term repetitive missions and it can be reset 26 different cycles and 26 different programming, to find the configuration most closely matching your cold chain needs. Our reusable temperature Data Logger already includes the USB cable, allowing you to send temperature recorders anywhere in the world, without worrying about interfaces or cables. 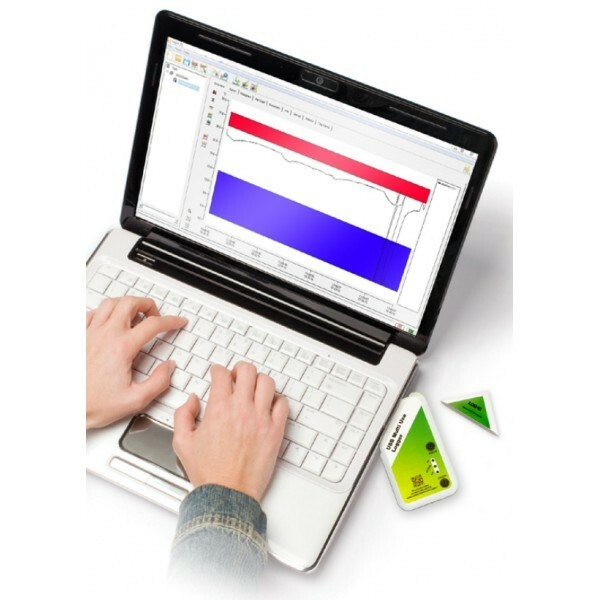 Just download our free software and print, save, email, exchange PDF temperature reports and detailed temperature profiles. * The installation of our proprietary "LOG-IC Report" software is required prior to using the PDF reporting funtion.